Jyothi Jadhav, Selvi Thangaraj, Lilian Dsouza, Amitkumar Rao. Background: The World Health Organization states that only 20% medical waste is hazardous—toxic, infectious, or radioactive. The Gazette of India has specific details about segregation and disposal of biomedical waste. Among the health-care workers, it is the nurses who deal with the patients for most part of their hospital stay and thus are the closest to dealing with most of the biomedical waste generated. Good training in the nursing college days would lead to responsible handling, segregation, and disposal of this waste. This will indeed go a long way in curbing spread of disease and also occupational hazards among the subsequent handlers of this waste. Objective: To assess the knowledge, attitude, and practice toward handling of biomedical waste among nursing students, before and after an educational intervention. Materials and Methods: An interventional study conducted at Government Nursing College, Bengaluru. Among first-, second-, and third-year nursing students, 154 were assessed using an indigenous pretested questionnaire. Data were collected before and after 4 weeks of the intervention. Statistical analysis was carried out as frequency distribution in the form of percentage tables and bar diagrams. Result: Knowledge improved in all years, from 22.3% in first year, 17.5% in second year to 7.8% in third year. Pretest average score was 18.942 and the posttest average score improved to 19.695. There was improvement in practice ranging from 34.7%, 19.7%, to 8.8% in first, second, and third years of nursing, respectively. Conclusion: Knowledge, attitude, and practice have improved postintervention—given in the form of health education. Ã¢â‚¬Æ’Ã¢â‚¬Æ’1. World Health Organization. Waste from Health-Care Activities, 2011. Available at: http://www.who.int/mediacentre/factsheets/fs253/en/ (last accessed on September 12, 2014). Ã¢â‚¬Æ’Ã¢â‚¬Æ’2. Health and Family Welfare. Directorate of Health Services. GNCT of Delhi. Biomedical Waste Management. Available at: http://www.delhi.gov.in/wps/wcm/connect/doit_health/Health/Home/Directorate+of+Health+Services/Biomedical+Waste+Mgmt (last accessed on October 3, 2014). Ã¢â‚¬Æ’Ã¢â‚¬Æ’3. Margabandu A, Balasubramaniam MS. Knowledge and practices of healthcare waste management among nurses in private hospitals in Chennai. Int J Appl Microbiol Sci 2013;2(1):13â€“18. Ã¢â‚¬Æ’Ã¢â‚¬Æ’4. Bhagwat VR, Patil SP, Tambe MP, Patil PJ. Awareness of healthcare workers regarding biomedical waste management at a tertiary care government hospital in Dhule. NJIRM 2013;4(4):74â€“9. Ã¢â‚¬Æ’Ã¢â‚¬Æ’5. Goswami HM, Soni ST, Patel SM, Patel MK. 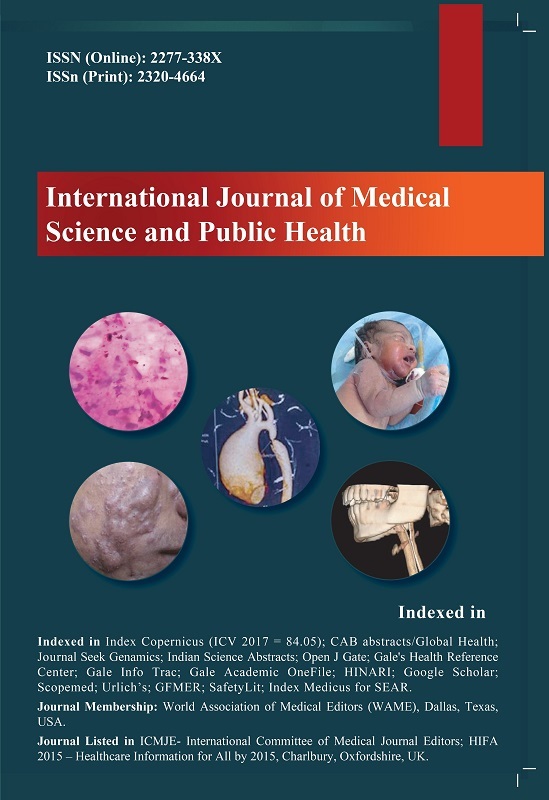 A study on knowledge, attitude and practice of laboratory safety measures among paramedical staff of laboratory services. Natl J Commun Med 2011;2(3):470â€“3. Ã¢â‚¬Æ’Ã¢â‚¬Æ’6. Sachan R, Patel ML, Nischal A. Assessment of the knowledge, attitude and practices regarding biomedical waste management amongst the medical and paramedical staff in tertiary health care centre. Int J Sci Res Publ 2012;2(7):1â€“6.